Also known as “sponsored email” or “email list rental.” A dedicated email is generally a commercial message promoting a product or service. Companies looking to promote their products will effectively rent out the newsletter distribution list (or other type of distribution list) from a relevant publisher in order to promote their product. For example, suppose that Nike wanted to promote a new set of golf clubs that it had recently released. It may try to purchase a dedicated email opportunity from Golf.com that would allow it to send its ad to the entire Golf.com newsletter list. Though some large companies utilize dedicated emails as part of their comprehensive marketing strategy, it is more commonly employed by smaller companies with web-focused products or services to promote. 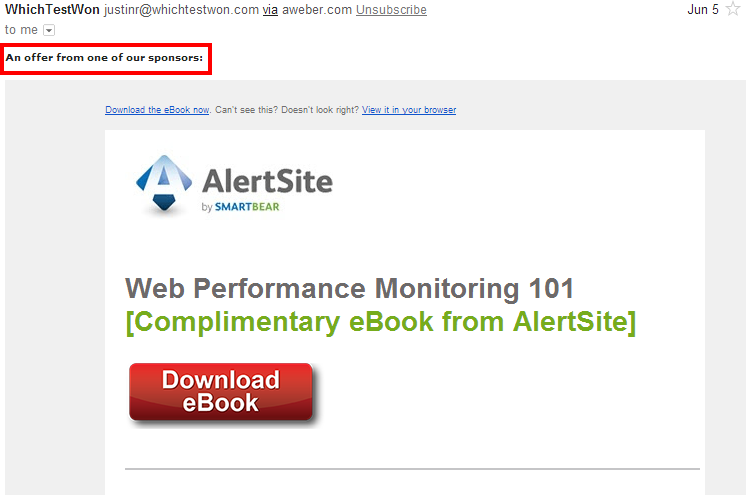 The red box in the screenshot above was added to highlight the message included by the publisher indicating to readers that the email they were about to read contains content prepared by a sponsor. Many advertisers are interested in dedicated email because they can represent a unique opportunity to target a very relevant demographic. Compared to display ads or AdWords campaigns, emails tend to receive much higher levels of engagement–especially if the list is associated with a site that has a related focus (for example, sending a dedicated email promoting golf clubs to a golf-focused newsletter list). For publishers, dedicated emails can represent a unique way to generate additional revenue without creating additional pageviews or doing a significant amount of additional work. Many publishers can charge attractive rates for dedicated emails because the format and audience is so valuable. 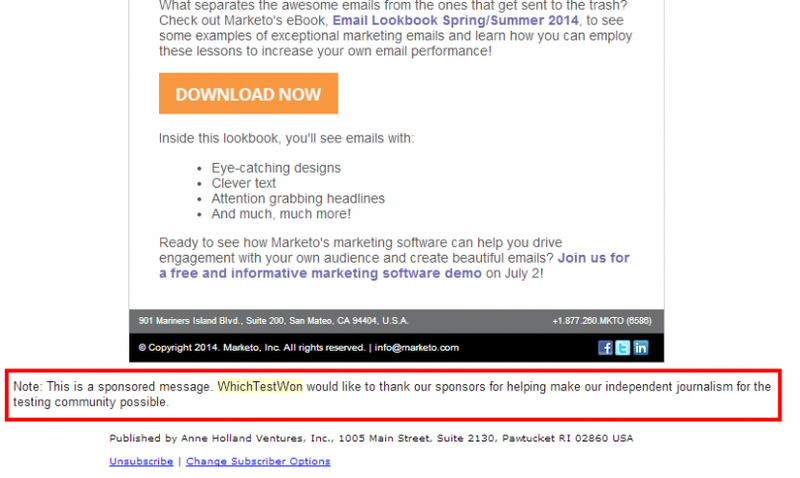 Specifically, the cost to rent out many email lists is $50 or more per 1,000 recipients. That means that a newsletter list of 100,000 could generate $5,000 or more in revenue for every dedicated email sent. While there is an obvious revenue opportunity associated with dedicated emails, there are some risks and drawbacks as well. Require the dedicated email copy from the advertiser at least 5 days in advance, in order to provide plenty of time for you to review the content and address any questionable aspects that may trigger spam filters. Review any dedicated emails and remove any subject lines or content that are questionable. Never share the log-in credentials to your email service provider with an advertiser. Only send one dedicated email for every five to ten free emails (at least) from your account. Closely monitor the number of spam complaints and unsubscribe requests associated with each dedicated email. The site is, of course, a for-profit business. But they also offer much of their content for free and have a loyal audience who values their services. Being completely transparent about the arrangement (i.e., acknowledging that they are being compensated for sending the message) and reminding recipients of the email that the site provides a high quantity of free content is a sound strategy for reducing complaints and unsubscribes that will always be associated with these types of mailings.